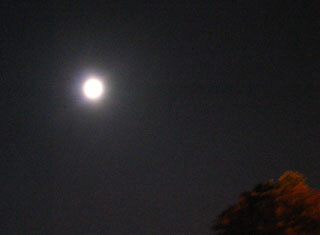 It is a beautiful clear full moon on a perfect September evening. I just rode my bike home from a Safe Haven class I had to take to coach my son’s soccer team. It’s a class that’s meant to teach you how to provide a safe, fair and fun environment in which to play sports and one that promotes their physical, psychological and emotional well-being. Too bad there isn’t a class that teaches you how to do that for yourself. As I hauled my bike into my house I thought about heading back out and going for a ride in Prospect Park. It is such a perfect night and bright enough to ride by the moonlight. I tried giving my friends Larry and Todd a call to see if they would join me, but both were disinclined to do so. Such a perfect night should be shared with friends and I didn’t feel like going on my own. I was a bit deflated when I hung up the phone, but still seriously considered going by myself getting. I told my wife I was going and she responded “what am are crazy?” Perhaps I am because I think it is a perfectly reasonable thing to do. But then I began to over think it, began to lose the desire and I could feel the tiredness from the day starting to overtake me. I rationalized that I have two small children at home and perhaps it was best if I just stayed home. Hopefully I can sleep soundly enough so I can wake up early and refreshed enough to do my ride in the morning. I wish I had someone that I could share moments like this with. Next time I am just going to go for the ride before I have second thoughts. This morning I did get up to do a run. However it was bad from the start. My body was for some reason bonking. I wasn’t surprised it happened since I woke up at 2am feeling like I was starving. I should have gotten up to eat, but I forced myself to go back to sleep. I paid for that decision by not having enough energy to do more than a pathetic 3.3 miles. I thought I ate enough at dinner time, but evidently not. I am going to have to start keeping better track of what and how much I eat. That's all for today... off to bed as soon as the Yankees close out the last two outs against KC.